When our parents or grandparents age, choosing the right care for them is difficult. At Lancaster Commons Senior Apartments, we give you peace of mind that your loved one will be taken care of physically and emotionally in a friendly senior living community. And for those who are researching local senior housing for themselves, welcome! We’d love for you to learn more about what makes our senior retirement community special. Founded in 2011, Lancaster Commons Senior Apartments is the perfect choice for those who want to live independently with various levels of support. We offer one-bedroom apartments, generally $950 to $985 per month, and two-bedroom apartments, generally $1075 to $1105 per month, depending on what you’re most comfortable with (call us for details; prices and availability subject to change without notice). Seniors from Lancaster, NY; Buffalo, NY; and the surrounding areas make our community their community. Find out why by calling us today. We welcome seniors ages 55+. Seniors deserve warm and relaxing amenities– after all, they should be comfortable and happy during retirement. 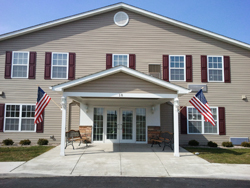 Lancaster Commons Senior Apartments offers air conditioned apartments with balconies and disability access. Residents will take pleasure in visiting our business center, clubhouse, beauty salon, and patio. Plus, we plan regular fun outings in Lancaster, NY. If you don’t want to be parted from your furry friend, never worry! We offer pet-friendly apartments that are fully equipped for you to bring your pet. Plus, each apartment comes with extra storage. 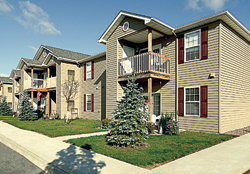 To see if Lancaster Commons Senior Apartments is the right community for you or a loved one, please call us today. We’d be happy to discuss our policies, prices, and apartments. 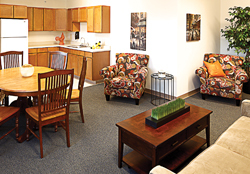 We’re sure you’ll be eager to join our pleasant community in one of our beautiful apartments.